Welcome Home! 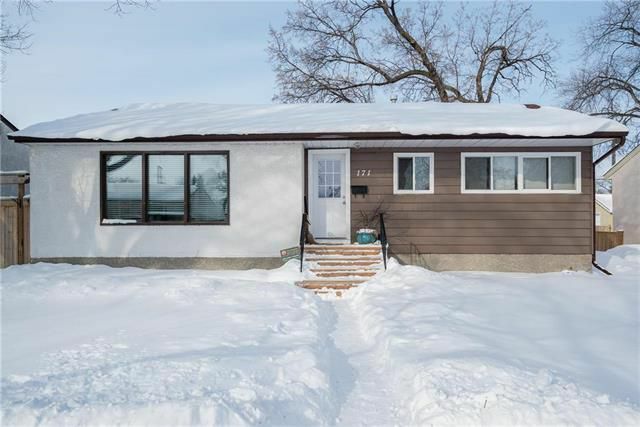 This St Vital, 3 bedroom, 2 full bathroom bungalow is loaded with natural light from all of the large windows. There have been many upgrades completed over the past few years including a brand new high efficient furnace(’18), a stylish and bright kitchen('13) with sparkly new upper cabinets('18), updated bathrooms('12/'13), newer windows ('17 and '18) and refinished hardwood floors. The lower level of this home features a spacious rec room / family room area, the 2nd bath, tons of storage and a laundry room. Outside on your extra wide, fully fenced lot (60’ frontage!) find your oversized, insulated single car garage with parking pad, and a gorgeous private side patio area that will be perfect to relax in when summer arrives! The home is located close to all shopping, transit, and schools! Call your Realtor® to book your private showing today!